Morgan (A Secret History of Witches, 2017) skillfully manipulates time by releasing tantalizing pieces of this story in chapters that alternate interludes in the life of Barrie Anne as an orphan, a bereaved mother, an abandoned wife, and a farmer in the 1930s and ’40s. A pivotal moment occurs when her dog, Willow, brings her a soaking-wet bundle of blanket that turns out to contain a baby. Naming the infant Emma, she discovers that her new charge has tiny gills behind her ears. When Aunt Charlotte, who raised her, arrives at her Olympic Peninsula farm, Barrie Anne learns of the family's unusual connection to water and gift of precognition as they strive to protect Emma, especially when two men in black arrive looking for her missing husband. The tiny touches of magic realism, fantasy, and science fiction are intriguing elements, but the strength of Morgan's powerful story is her depiction of this time and place and the everyday struggles of determined women. A great choice for readers who enjoy novels by Alice Hoffman and Barbara Kingsolver. 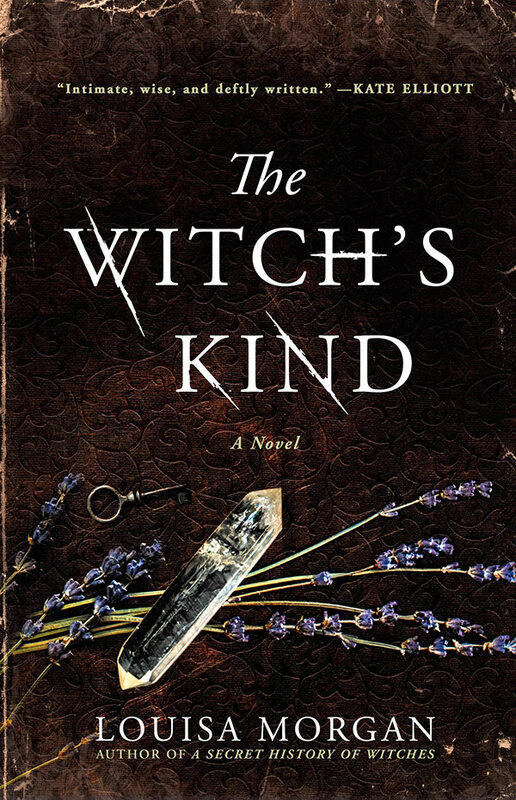 It’s a story of witches, told from the perspective of witches, which ensures the reader a front-row seat to a struggle between self-preservation and a yearning for community. It’s a quiet, meditative look at the world from the eyes of the outsider, and it sings with sensory detail. Barrie Anne, though naive and too trusting, takes little for granted, and it’s through her clear-eyed perspective we experience the world. Her garden comes alive with sights, sounds, and textures. When she and Charlotte go for Green Rivers at the soda fountain, you can almost taste the bubbles. And when Willow, their dog, takes off across the orchard at full speed, you can feel the panic coursing through his doggy veins.